Dr. Sarko received her B.S. in Neuroscience & Behavioral Biology at Emory University, then went on to earn a Ph.D. in Neuroscience in 2006 at the University of Florida in the laboratory of Dr. Roger Reep. She was a postdoctoral fellow at Vanderbilt University 2007-2012, first in Dr. Ken Catania’s laboratory within the Department of Biological Sciences (2007-2009), followed by a fellowship in Dr. Mark Wallace’s laboratory within the Department of Hearing & Speech Sciences (2010-2012). She then accepted a position as Assistant Professor in the Department of Anatomy at the Edward Via College of Osteopathic Medicine (VCOM), also serving as Course Director of Neuroscience and earning multiple teaching awards. She joined the SIU School of Medicine as an Assistant Professor in the Department of Anatomy in the fall of 2015 and was granted cross-appointment in the Departments of Psychology and Physiology. Dr. Sarko's research interests focus on sensory processing (somatosensory, auditory, and visual processing in particular) and multisensory integration. She utilizes histology, histochemistry, immunohistochemistry, electron microscopy, in vivo extracellular electrophysiology, and behavioral analyses in order to assess sensory specializations and deficits as well as perceptual/behavioral outcomes. Her current studies span animal model experiments as well as human psychophysical studies. Specifically, she is interested in multisensory processing and plasticity in animal models with unique sensory specializations. In addition, she studies multisensory integration deficits in individuals with autism spectrum disorder. Natalee received her B.A. 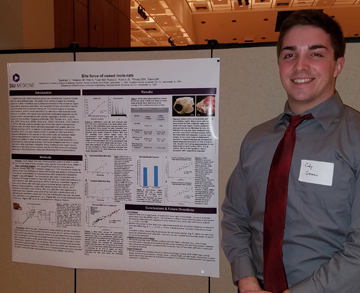 in Psychology from Southern Illinois University in 2017. 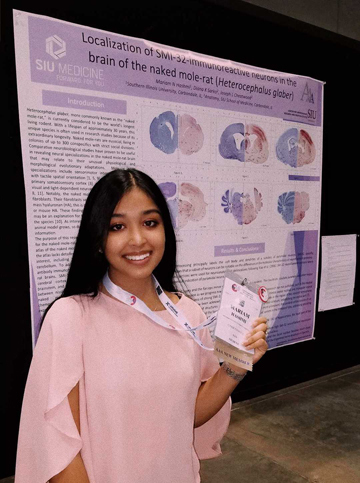 There, she performed research regarding isolation in socially monogamous rodents, focusing on its relation to brain morphology. 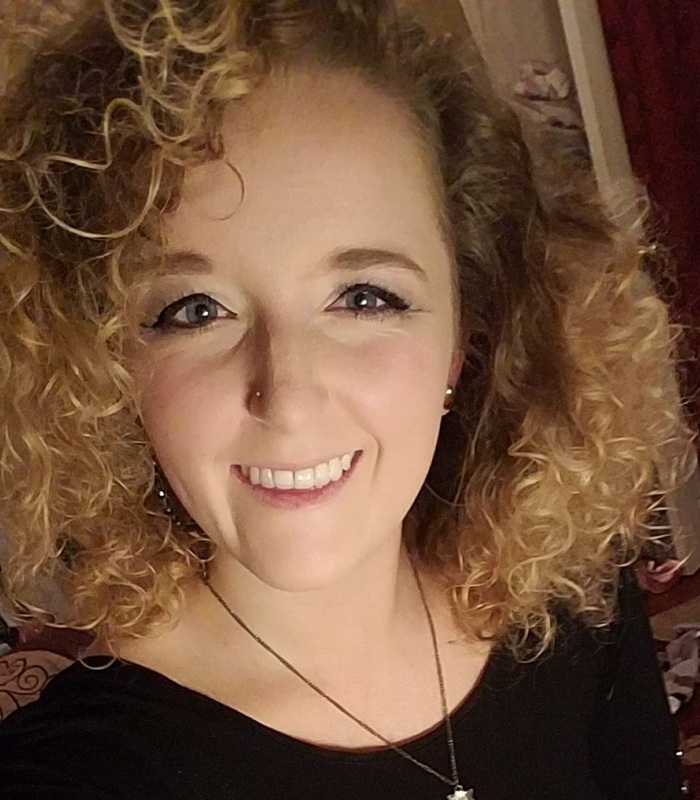 Natalee is currently a PhD student in the Physiology program at the SIU School of Medicine, having started her studies in the fall of 2018. Her current focus is on the electrophysiological and behavioral properties of multisensory integration in naked mole-rats. Rebecca Embalabala graduated with a B.S. 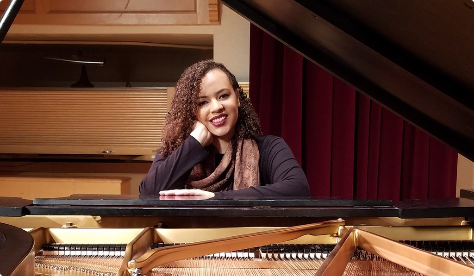 in Biology with a double major in Piano Performance from Indiana Wesleyan University in Marion, Indiana in 2018. During her undergraduate career, she conducted research for three years in the field of plant biology, studying in vitro tissue culture, cell regeneration, and the nutritional components of Moringa oleifera under the direction of Dr. Grace Ju Miller. 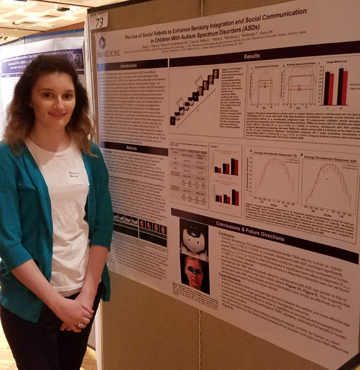 Transitioning into Neuroscience, she then interned at the Vanderbilt University Medical Center's Music Cognition Lab under the direction of Dr. Reyna Gordon. She is now the current Lab Manager and Researcher I in the SIU Sensory Lab under the direction of Dr. Diana Sarko.